We recently completed a project for the highly innovative company Inzpire. They’ve been awarded top 100 best small companies to work for in the UK, and recently announced a no-cap leave policy. Truly inspiring stuff! 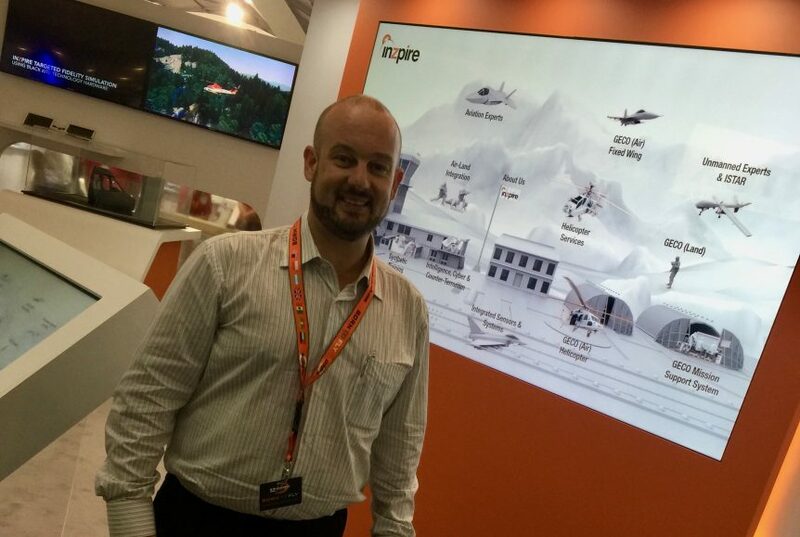 They wanted something cutting edge and engaging for the recent Farnborough Airshow, so we developed a touchscreen experience for them. As most of their services are aviation related, we based it on an airfield theme. From this page, you could quickly access all of their services and supporting videos, imagery and documents. This allowed anyone in the company to talk directly to their expertise in seconds, all from a beautiful interface. Inzpire is based in Lincoln in the UK, and we were working out of Dubai and SE Asia – so the whole project was managed remotely! Whilst there were a few hiccups in getting content pushed to devices, and unpredictable gremlins you sometimes find in high tech products – it was a great success. “At Inzpire we appreciate innovation, design and customer service. I’m glad to say that Capytech delivered on all three fronts. The product that Capytech delivered for us was highly innovative with a great modern design. They worked very closely with our team to ensure we were satisfied with what they developed. Capytech was there, day and night, to ensure that our expectations were mate or exceeded. We can’t wait to work with Inzpire again in the near future. They have amazing plans when it comes to e-learning, and I’m excited about the years ahead in this partnership.